c) lightning:recordEditForm: – It will display a record edit or record create layout that displays one or more fields provided by lightning:inputField. d) lightning:carousel: – Display a collection of images that are displayed horizontally one at a time. e) lightning:inputAddress: – Now it is possible to add an address compound field with support for street, city, province, postal code, and country. f) lightning:listView: – Now it is possible to create a list view of records that you own or have read or write access to, and records shared with you. 2) Action Overrides That Use Lightning Components Are Supported in Lightning Console Apps:- Get ready for deeper control over what users see when viewing or editing a record or opening a list. Action overrides that use Lightning components for View, New, Edit, and Tab are now supported in Lightning console apps. When a user performs an action that’s overridden with a Lightning component, the content from the custom action appears in a tab or subtab. When the split view is open, tab action overrides load the Lightning component in a split-view container that is 400-pixels wide. 3) Use without sharing for @AuraEnabled Apex Controllers with Implicit Sharing (Critical Update):- This critical update changes the behavior of @AuraEnabled Apex controllers that don’t specify with sharing or without sharing to default to without sharing. This change relaxes the security for controllers that don’t explicitly set sharing behavior using these keywords. It’s a best practice to always use with sharing in Apex controllers used with Lightning components. 4) Find Dynamically Created Components:- You can now use cmp.find() to find a component that you create dynamically with $A.createComponent(). In prior releases, a bug prevented cmp.find(), the standard method for finding a component, from working with dynamically created components. 5) View Lightning Component Resources in Custom Namespaces and Packages:- You can now find documentation for components, events, and interfaces, in your custom namespaces and packages in the Component Library (Beta). Resources – components, events, and interfaces – in custom namespaces display both global and non-global attributes and methods. Resources in managed and unmanaged packages display global attributes and methods only. By default, only the Specification tab is available for these resources. The Specification tab lists out the attributes and methods that are defined in the resource, such as the .cmp resource on a component. To provide your own documentation in the Documentation tab for components in custom namespaces and packages, include an auradoc resource in your bundle. Note: – You can download release notes in HTML format! , or as a PDF file. What are your favorite Spring’18 release note gems? 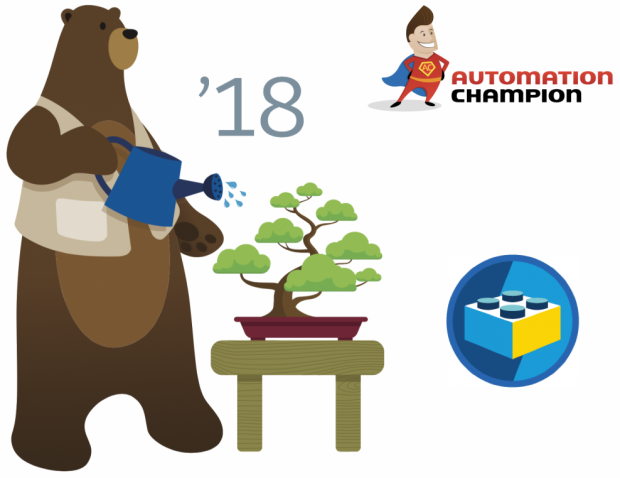 ← Top 10 Lightning Experience Gems of Salesforce Spring’18 Release! Great stuff! In addition to what you’ve shared here, I think the lightning:availableForFlowScreens interface is a big deal, which allows developers to publish components that can be plugged into a Flow! Spring 18 also includes a base component that uses this interface (forceContent:fileUpload), finally allowing us to upload files directly from a Flow!